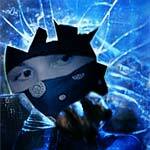 Recently, there has been an increase in home invasion burglaries. 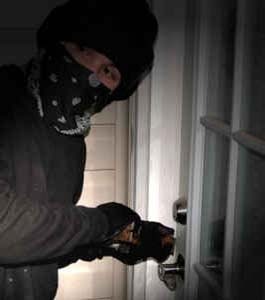 This is a crime that involves forced entry into the home where the occupants are at home at the time of the crime. This could happen anytime, during the daytime or at night when the occupants are sleeping. 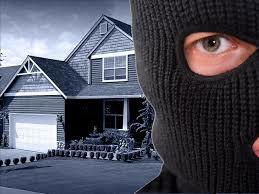 According to the F.B.I., one in five homes in America will experience a home invasion or break-in. The burglar could have been casing the wealthy or elderly, looking to steal property or drugs or maybe even having some type of vendetta to resolve. Whatever the reason may be, it is not fun and could cause physical intimidation or worse, the use of weapons to cause fatal harm to your loved ones. Having an ADT monitored home security system installed will help prevent this type of crime from happening. Setting your system to STAY MODE will protect you while you are at home anytime of day. Recently, a customer was burglarized while she was sleeping around 2:00 a.m. The burglars entered through the side door of the garage which was not locked and then entered into the kitchen area. What is troubling is that they went into the master bedroom while she was asleep with her 100 lb dog (Akita breed) and took her purse, jewelery, and cash. When the burglar's were finished, upon hearing the door close, she awoke briefly and went back to sleep not realizing what had happened. It was only in the morning that she discovered she had been robbed and then noticed what was missing. How could this happen with her faithful companion dog laying by side? The day after her ADT monitored home security system was installed, the alarm went off at 5:30 a.m. the next morning. The sound woke her up immediately, she stayed in her master bedroom while police were called and the burglars left. When the police arrived, they noticed the same side door in the garage had been opened. The security system recorded the exact time the attempted burlary took place. She was remiss in putting her sign in the yard and her stickers in the window so the burglar didn't know she was protected by an ADT home alarm. Her signs and stickers were then promptly placed strategically by California Security Pro to deter future activity. She now has peace of mind and is so happy that she got a system installed! Recently a frightening home invasion burglary took place while a stay-at-home mom in Millburn, NJ was hanging out in the morning with her two daughters around 10:30 a.m. The suspect busted into the home and beat up the women right in front of her 3 year young daughter while her other younger daughter was upstairs taking a nap. He made off with just some jewlery and her wedding ring as he fled the scene. Luckily, a nanny cam caught the whole incident on tape and authorities are reviewing the tapes. **UPDATE** the guilty party is behind bars. If she had an ADT home security system and it was set on STAY MODE, the alarm would have sounded immediately after the burglar broke in and police would have been called. Prevention is key to surviving a home invasion. Make it hard for the criminals so they are more likely to move on to an easier target. Install an ADT Monitored Home Security System for 24/7 monitoring while at home or not. Arm your system to STAY MODE when you are home! After you get your alarm installed, make sure all entry doors and accessable windows have warning stickers. Replace these periodically so they look new. Deadbolts should be on all exterior doors (don't forget the gargage entry door) - make sure to put in 3" screws so lock is anchored into the interior stud. Separate the deadbolt by 18" or more from the door knob lock. Use a keyed deadbolt rather than a toggled or levered deadbolt. Dog doors sometimes allow easy access so if a small child or small person can get through, this puts your home at risk. Get to know your neighbors and look out for each other's property. Learn more about monitored home security. Set up a no pressure and No-Cost In-Home Security Reveiw Today. Call 1-800-310-9490 or fill out the for by clicking below and we'll call you.